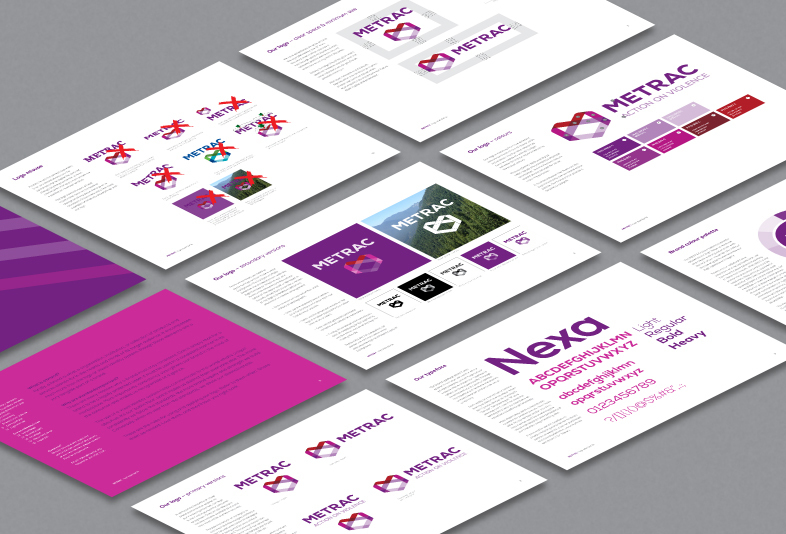 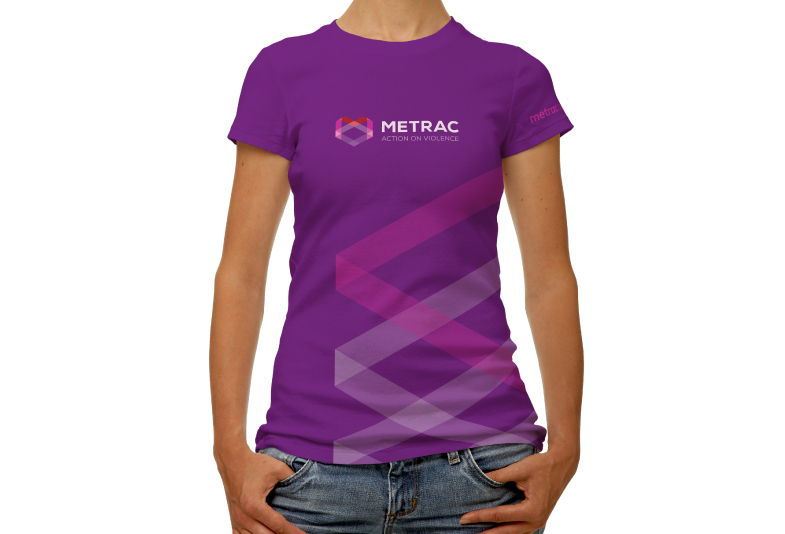 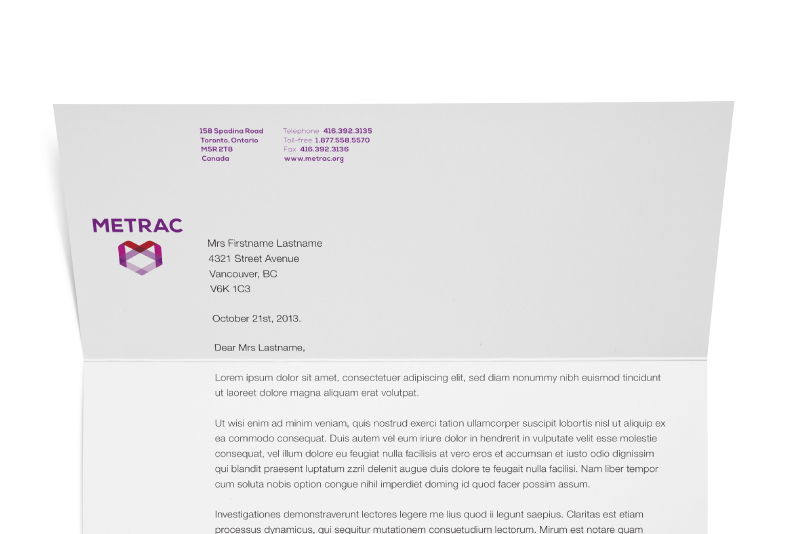 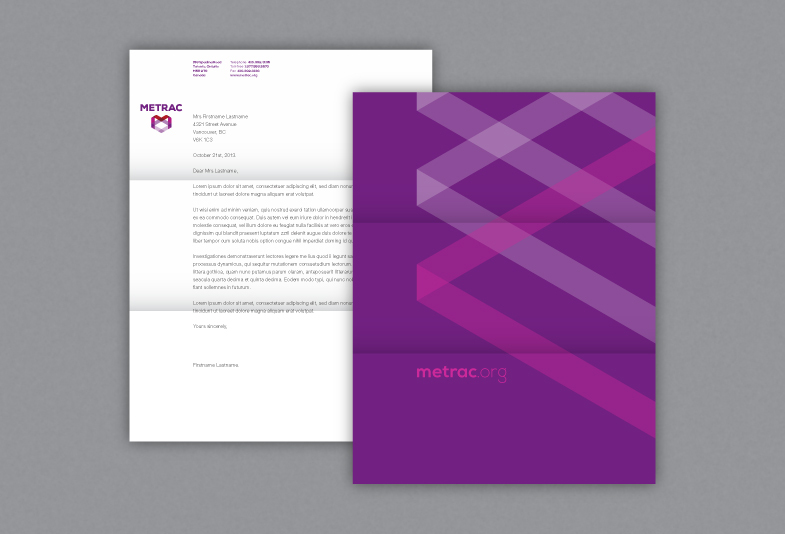 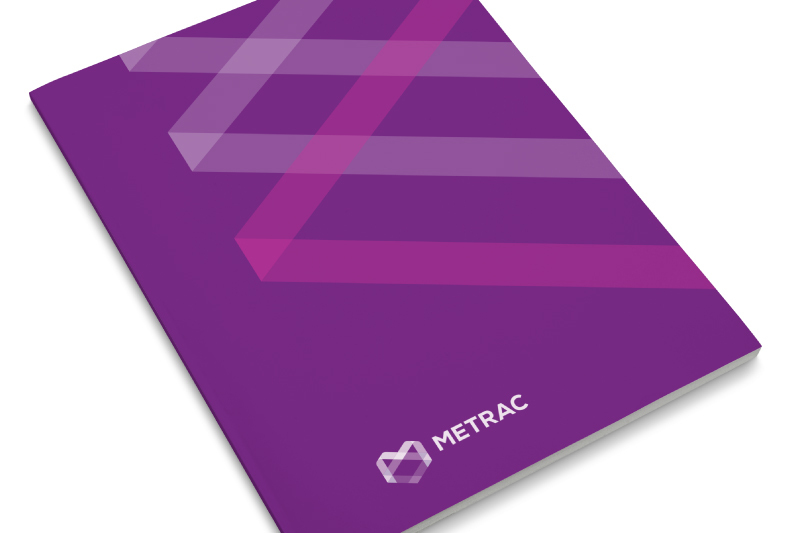 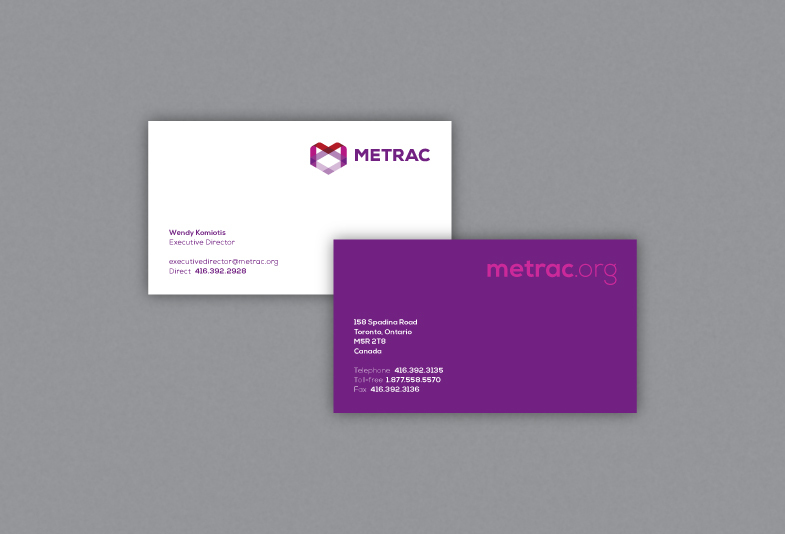 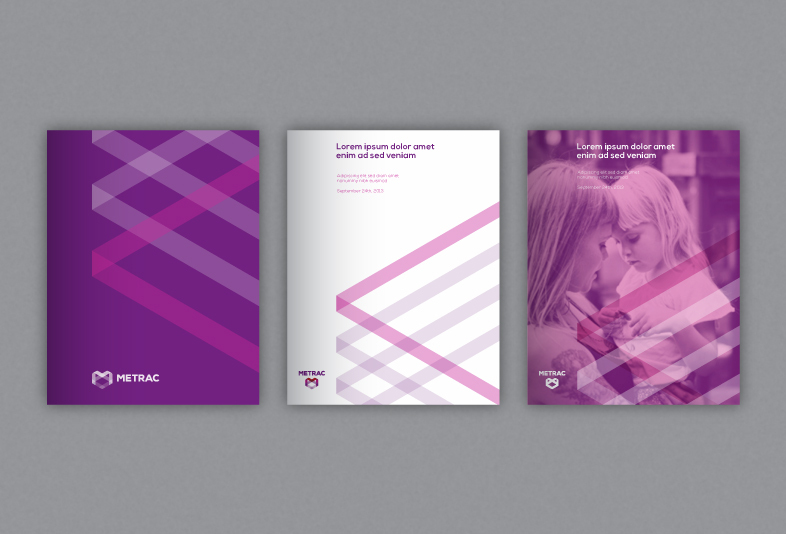 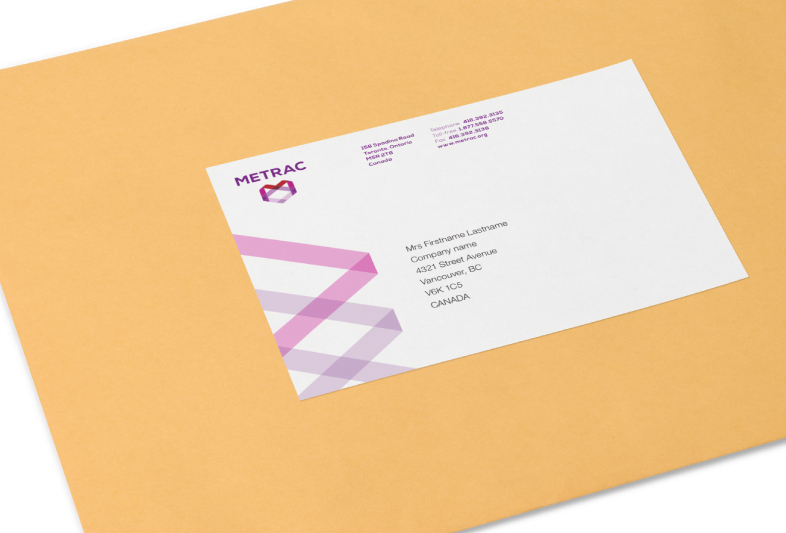 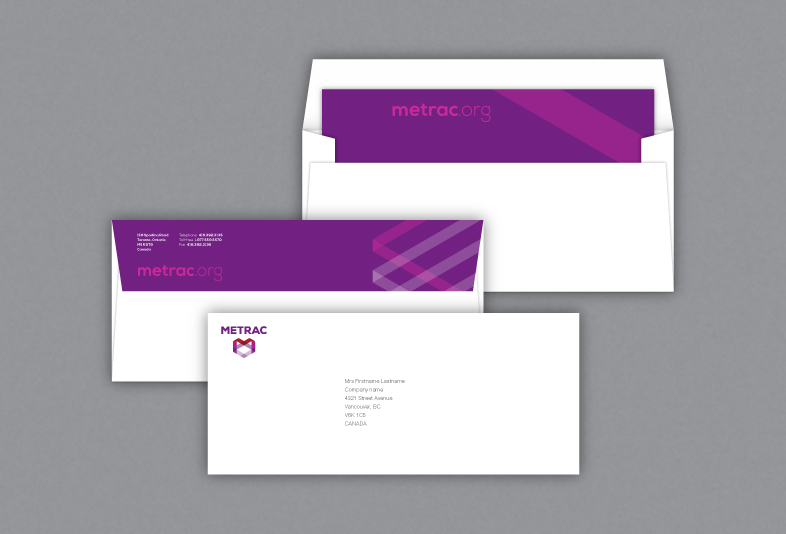 The new identity system takes the concept of safety and prevention to form a symbol from a ‘woven’, interlinked ribbon containing the ‘M’ of METRAC; we also consolidated and refreshed the colour palette to ensure METRAC could boldly express itself consistently and powerfully across all media. 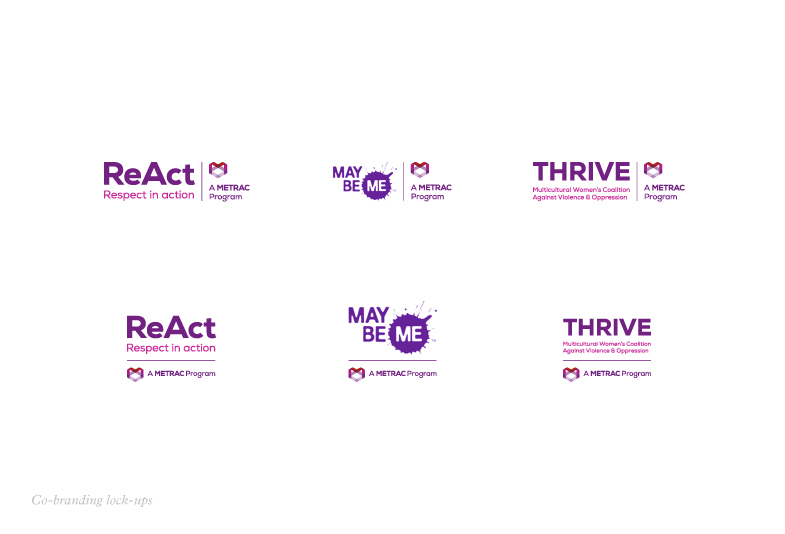 Ultimately, the new identity had to be approachable and convey a sense of warmth and welcoming which had lacked previously. 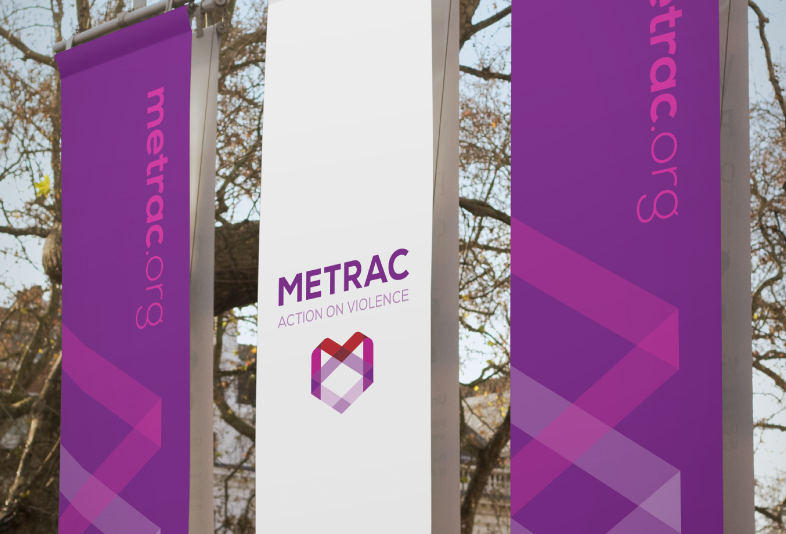 Also, METRAC uses an integrated, multi-disciplinary approach, working in partnership with individuals, community groups, governments, institutions, educators, urban planners and legal professionals; this is further embodied by the translucency and interlinked elements in the symbol.